After making successful registration with tendernews.com, you will able to receive your User Id and Password via Email from Tendernews.com. 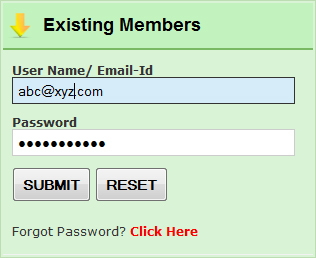 Please use this User Id and Password to login to your account. A User Name : Enter your User Id in this textbox. B Password : Enter your Password in this textbox. C Login Button : Login button. On clicking the login button you will able to login to your account.